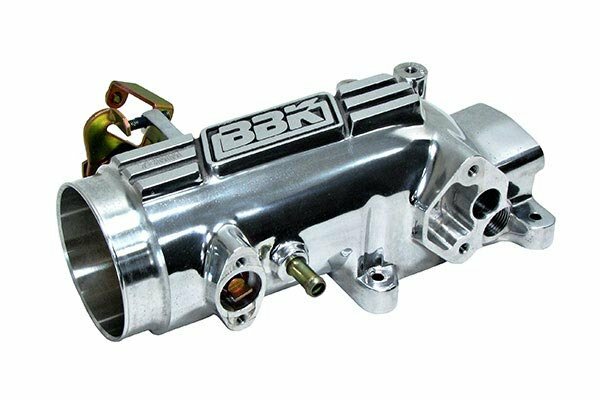 BBK 1822 - BBK Throttle Bodies - FREE SHIPPING! Now Autoanything is my one stop shop for all mine needs being overall product selection #1, price, deals and sales along with coupon code on top of everything plus tax free for Texas. Have bought five mods True dual exhaust Borla , AFE CAI, Bullydog tuner, UPR oil catch can and last BBK throttle body. Install was okay until place factory air inlet tube struggle with it, but key solution lube the inside air inlet tube be fine Performance wise ties in all my mods more responsive,louder and awsome. Great Buy, great price match and more by Autoanything! I put the 73mm BBK Throttle Body on my 2013 Ford F150, Regular Cab, 3.7L V6, 4x4, and I'm very happy. From what I've read, the 3.7L engine makes it horsepower at higher rpms. I really couldn't see a huge difference out of it off the line, but rolling along and mashing on the gas it gets up and goes. Very happy on my purchase. I can only imagine if you put one of these on a 3.7L Mustang! If you don't have any mods on your car this one is not the first one try exhaust or cai first after that is the only way you will get this mod any use , it's not bad at all but I think it's overpriced for the gains that you get. The price was great when on sale. The install was fast and easy. Simple tools needed, flat head, Allen key, and sockets. The instructions are clear if you are not comfortable with mechanics. The outcome was great. My throttle response is noticeable compared to stock. Especially if you have a tune. I did this and TSB for inter cooler fix and the whole mix was noticeable when gunning throttle from dead stop as well as rolling and goosing it!!! Great price, Easy install! BBK definitely increased the throttle response. This along with a CAI definitely wakes up the twin turbo's, which sound louder and meaner! Since I've already upgraded the ECU tune, CAI, Shorty Headers, and exhaust, I considered the next most cost effective step would be a throttle body. I already knew peak gains were minimal but I am primarily focusing on increasing the low- to mid-range torque band. The install was stupid easy. While I do feel that the power delivery is stronger and smoother, the gains felt minimal even after a tune. I haven't seen a loss/gain in average MPG. Not a bad product overall. 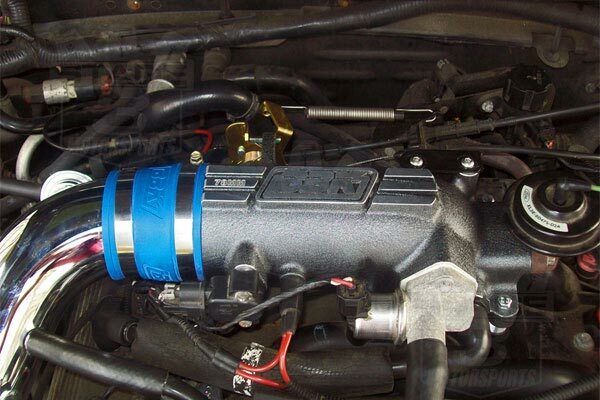 The BBK intake looks very well made and install took all of 15 min. I have the BBK cold air intake and it caused a slight whistling sound when I first stepped on the gas. I was told that it was from the pen I take not allowing enough air in at first. Bought this larger one and the whistle is no more. Noticed very little gains. Marginal throttle response. Car does not have a tune. All stock except for CAI and this. This is an excellent product. Easy to install and great improvement in Power! Recommend it. Great ugrade! Once installed you be happy you did! I had a 2009 mustang and bought bbk throttle body and it made a difference more rear end torque for sure! I remembered you had to pull the old motor out and install it in the bbk....anyhow This bbk throttle body took half the time to install basically four lots plug and play! Major difference more aggressive sound and a few more ponies under the hood! If anything you want a fun mustang buy a steeda cold air induction and bbk shorties and swap your 2.73 to 3.73 differential gears so worth it! I installed this throttle body in about 10 minutes. 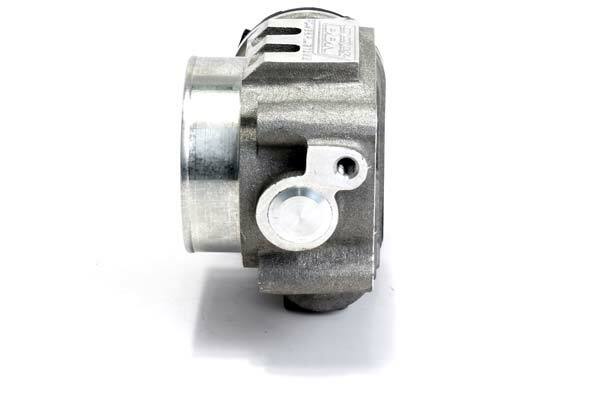 There was a noticeable change in throttle response with this throttle body. I would recommend this upgrade for all mustang owners. I bought this item and put it on but honestly if I could do it again I wouldn't buy it. It DOES work as stated. It does give more power in the lower torque band. And, I tested the mileage aspect and it doesn't use anymore fuel than the stock if you drive normal. But the difference wasn't enough to have me give an whopping approval. I installed a cold air intake on my 2011 Mustang. After driving the car with the C/A/I, I was getting a hesitation with the throttle response. The BBK throttle body was a bit expensive, but you get what you pay for. 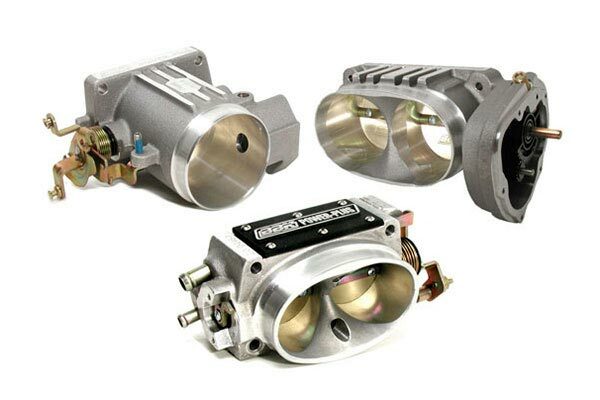 I ordered the BBK throttle body with Auto Anything with free shipping. Easy install and no sooner did I take my car out for a trial run, I pulled back into my driveway with a smile. Bingo, the throttle body resolved my throttle/hesitation during acceleration. To Throttle Body or Not to, this is the question. 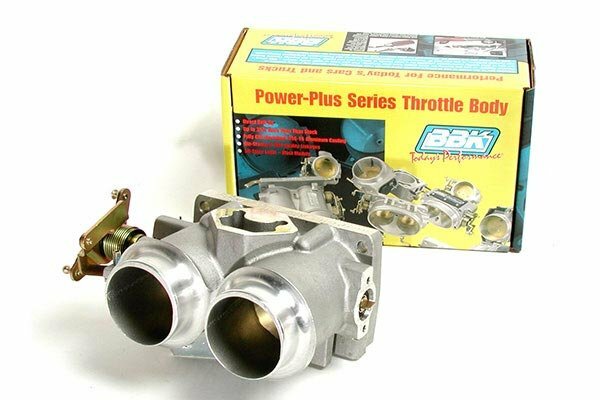 I purchased the 73MM Throttle Body along w/CAI by BBK. I already have the BBK Headers & the Rosch Axle Backs. I was getting 28MPG at 70. Now it's 25 MPG at 70. Throttle response is quicker. No computer tuning yet. F/A Ratio is running at 13.8 - 14-2 Fuel mileage drop off but more response & HP at the rear wheels. Went with the throttle body and CAI combo. Simply stated, this is an essential mod for the 3.7 liter v6. Low RPM acceleration is vastly improved. I get on the gas and get some sweet tire chirp going from second to third gear (auto trans). 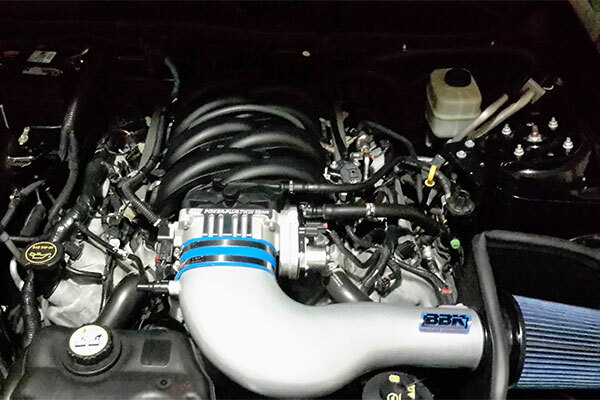 Get more growl from my Flowmaster exhaust upgrade. Couldn't be happier and AutoAnything's prices are the best out there. My way of looking at it was, you can almost gain 1mpg with this. I plan on keeping this Mustang for a long time. Eventually that 1mpg will make it pay for itself and along with that it's More Power! Slightly better response time too. I can really feel it in the low end, which is where the 3.7s were in need. Looks good too. Installation was straight forward. The BBK TB 1822 is solid, well built. 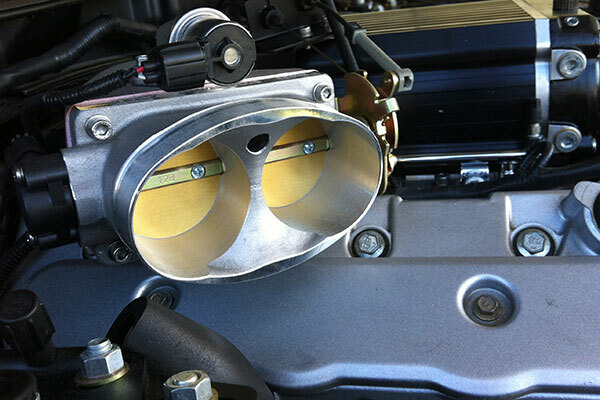 The throttle body looks great, has given me a performance boost, and fit on the manifold very well. However, fitting my CAI onto the throttle body was very difficult, so I took a start off of instillation for that. The throttle body arrived promptly from AutoAnything. I had read that it was an easy install, but if you're a computer geek like me with other aftermarket parts, that's a lie. 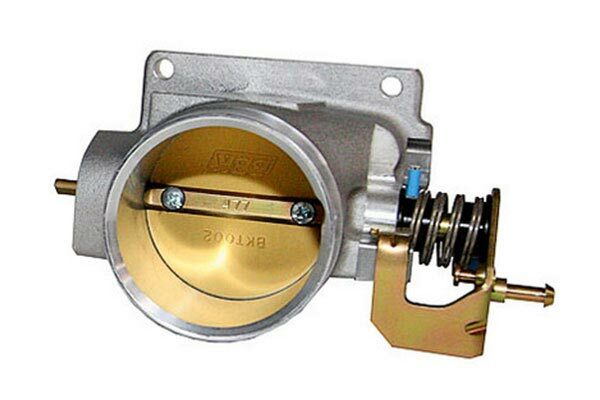 I have an Airaid CAI and it was not a good fit with this throttle body. After 4 hours of blood sweat and tears, I got it installed and I'm very happy with the results. I can definitely notice the power gains at the lower RPMs. I'd buy this product again in a heartbeat, but I'd have someone a bit more savvy install it. I was skeptical at first..but after install on my 2011 3.7, there is a noticeable increase of low/mid range torque. Worth the $$ to me, it gave my engine more power where it needed it. Went on pretty smooth, I would have liked the new bolts to be 5/16 like the original or at least an SAE vs metric. The rubber collar for my Araid CAI went on ok because I put that on before putting back on car. Only able to take for a short test afterwards but it did idle smoother and sounded better. I got this on sale, it's a pricey little bugger but it does seem to increase lower powerband torque. How much? I don't know since I didn't do a dyno run. Very easy install!! Noticeable torque and power gains from 1K to 4K RPM's. Excellent throttle response and very good idle characteristics. For those fellow Mustang Freaks whom want immediate throttle responce HERE YA GOOOOOOoooooo! Reference # 753-688-823 © 2000-2019 AutoAnything, Inc.